Mary Elise Zellmer, assistant director of the archdiocesan Office of Young Adult Outreach, holds up one of the T-shirts New York pilgrims will wear later this month at World Youth Day in Panama City, Panama. Fifty-three pilgrims from the archdiocese will travel to the Central American nation for the Jan. 22-27 event led by Pope Francis. More than 50 pilgrims from the Archdiocese of New York will attend World Youth Day Panama 2019 this month. They will join a multitude of faithful from New York, the United States and countries around the world who will have an opportunity to pray with Pope Francis. WYD 2019 will take place in Panama City, Panama, Jan. 22 to 27, with activities and celebrations at different sites in the capital city of the Central American nation. Pope Francis, who is scheduled to arrive the afternoon of Jan. 23, will lead pilgrims at spiritual gatherings, including a Way of the Cross the evening of Jan. 25 and a closing Mass the morning of Jan. 27. Mary Elise Zellmer, assistant director of the archdiocesan Office of Young Adult Outreach, told CNY that her hope for the 53 New York pilgrims—44 young adult pilgrims and nine coordinators—is that “they are going to encounter Jesus Christ, and his Body, the Church, in a very unique way that they might not ever had a chance to experience…I hope that they are going to come back with a huge desire to be saints—that whatever graces they receive in Panama, they’re going to bring those graces back to New York. 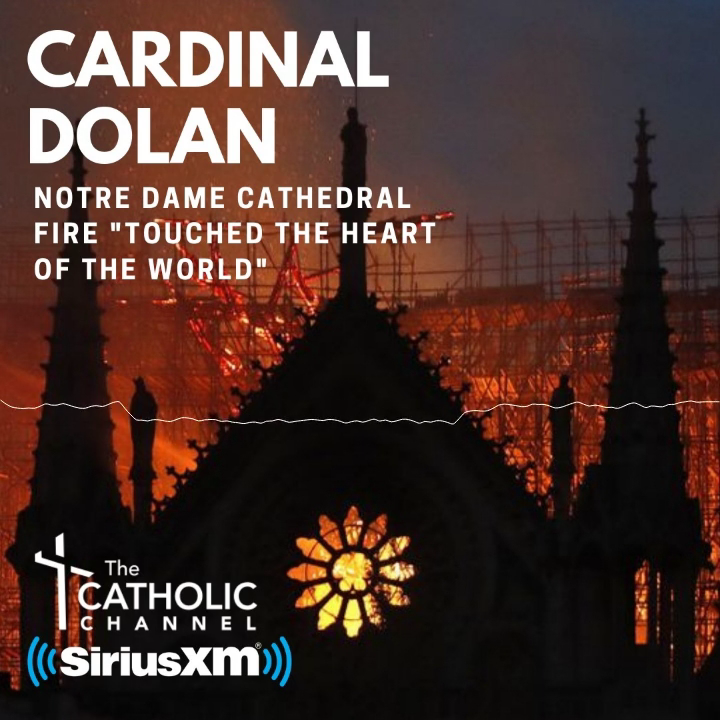 “All in all, I think we’ve probably got 25 parishes represented,” said Ms. Zellmer during an interview in her office at the New York Catholic Center in Manhattan. She will be among the coordinators from parishes and archdiocesan agencies accompanying the young adult pilgrims. She noted the New York archdiocesan group has been in contact with a sister pilgrimage group from the Diocese of Bathurst in Australia. They plan to coordinate their participation during the pilgrimage. The age range of the New York pilgrims is 18 to 35. The pilgrims and coordinators will attend a WYD sending Mass at 12:30 p.m. on Sunday, Jan. 20, at the Hispanic Catholic Charismatic Center at St. Anthony of Padua parish in the Bronx, which will be followed by a luncheon meeting. One of the New York pilgrims, Josue Rosario Cruz, 24, is a parishioner at St. Anthony of Padua. “It was a life-changing experience; it solidified my faith,” Cruz said of having attended the most recent World Youth Day in Krakow, Poland, in 2016. He said he hopes WYD Panama 2019 will help him grow even stronger in his Catholic faith, and assist him in becoming a more effective leader as a young adult in his parish community. Pilgrim Guadalupe Pimentel, 20, said she has had struggles with her faith in recent years, largely because of exposure to ideas in college that counter the teachings of the Church. She said her faith is now strong again thanks to her family, her parish community and fellow young adults who are practicing Catholics. “I’ve been very excited for over a year now,” said Ms. Pimentel, a parishioner at Our Lady of Mount Carmel in the Bronx, noting how thrilled she was when she learned she would receive a Pierre Toussaint Scholarship to attend WYD Panama 2019. In addition to Ms. Zellmer, the lead coordinators accompanying the young adult pilgrims are Colin T. Nykaza, director of the archdiocesan Office of Young Adult Outreach; Cynthia Psencik, director of the archdiocesan Office of Youth Ministry; and Daniel Genn, assistant director of the Youth Ministry office. The other coordinators are Father Joseph A. Espaillat, pastor of St. Anthony of Padua parish; Sister Milagro Mercado Parra, S.C.R., director of religious education at St. Anthony of Padua; Father Benjamin Palacios, parochial vicar at St. Gabriel and St. Joseph parish in New Rochelle; Brother Tyrone A. Davis, C.F.C., executive director of the archdiocesan Office of Black Ministry (OBM); and Leah T. Dixon, associate director of OBM. “This will give them (the pilgrims) a greater sense of the Church more than their local parish,” Brother Davis said. He noted the assistance of OBM’s Pierre Toussaint Scholarship in helping to sponsor some of the pilgrims.